Letters of recommendation are required for a variety of purposes. People require recommendation letters for a variety of purposes. These include recommendation letters for teachers, colleges, residencies, graduate schools and various other purposes. To make it easy for the person issuing the recommendation letter, we have a variety of ready to use sample letters of recommendation to choose from. These Sample Letters are professionally drafted, available in a variety of formats and extremely handy. 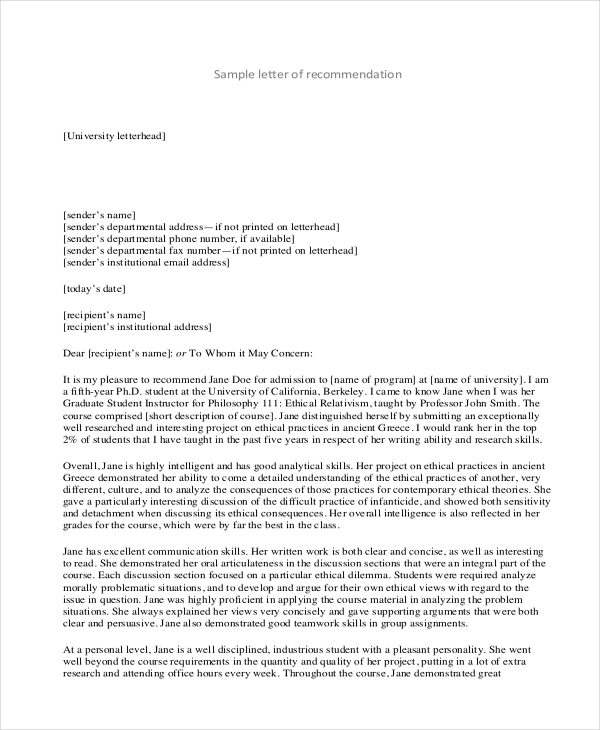 The sample letter of recommendation for graduate school can be used by teachers who are giving recommendations for their students who are applying for admission in universities. This template is available in PDF format. 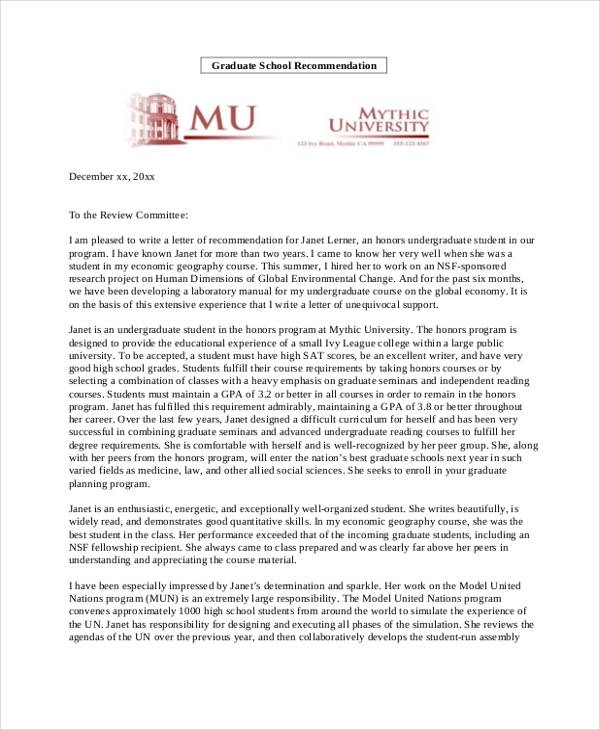 Those who are providing recommendations for college applicants can use this sample letter of recommendation. This template is available in PDF format. It can be easily downloaded and is also printer friendly. 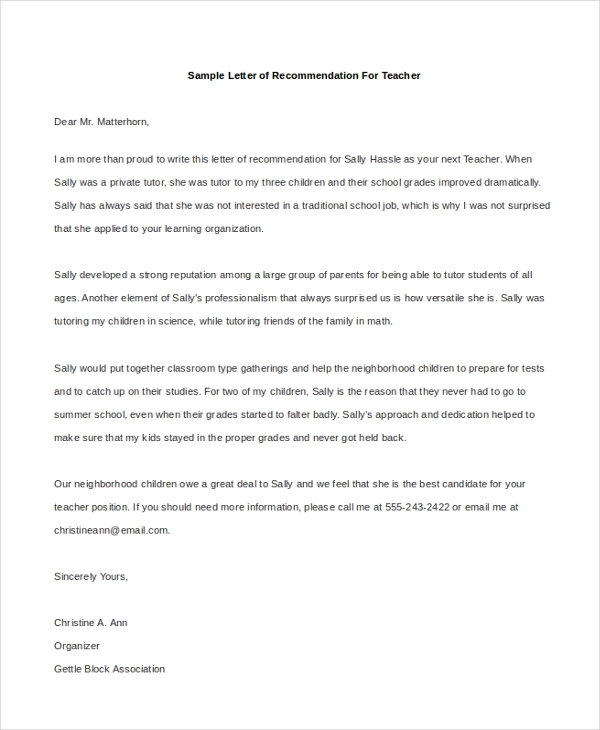 The sample letter of recommendation for the teacher can be used by anyone who is giving a recommendation to a person applying for a teacher’s job in a school or university. This template is available in Word format and can be easily edited. 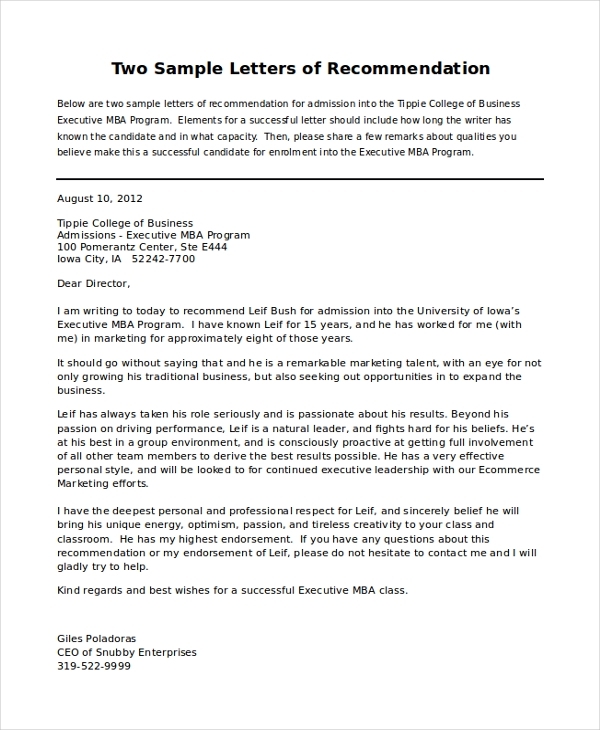 The sample letter of recommendation for graduate school is available in Word format. It can be easily edited and is printer friendly. This template can be used by anyone who wishes to give a recommendation to a graduate school applicant. Those who wish to give a good recommendation for a person looking to rent out a home can use the letters of recommendation for residency. This template is available in PDF format. What Is The Main Target Audience For The Sample Letters Of Recommendation? 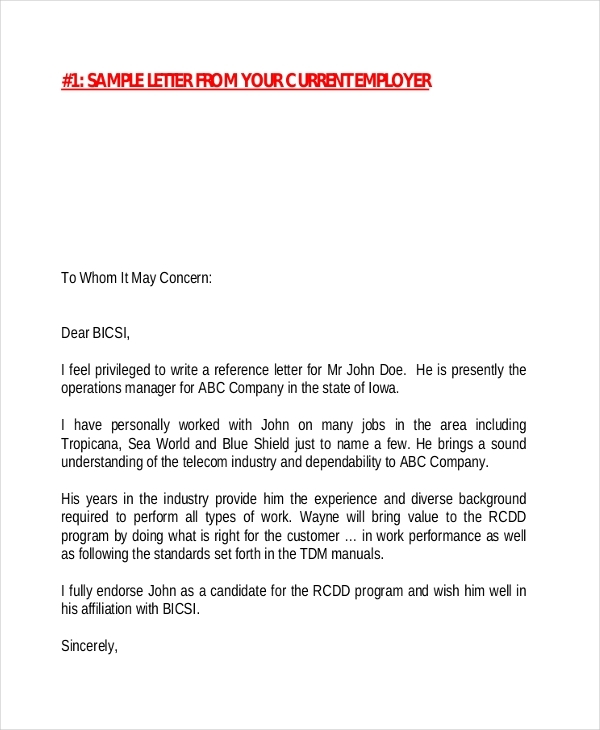 What are The Benefits Of Using The Sample Letters Of Recommendation? So, if you’re requested by someone to draft and produce a recommendation letter for him or her, you have come to the right place. Just select a letter from the above-mentioned list that best suits your requirement, edit it, print it out or email it to the concerned person. 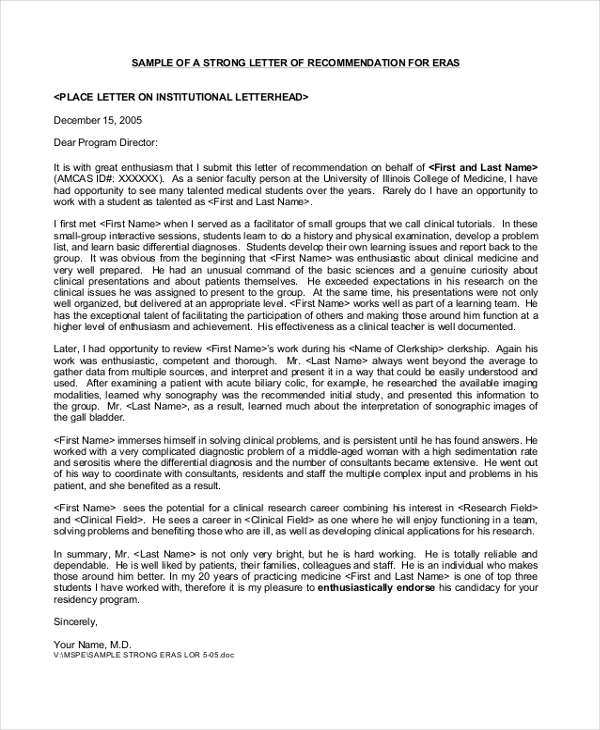 You can also see Cover Letter Examples.